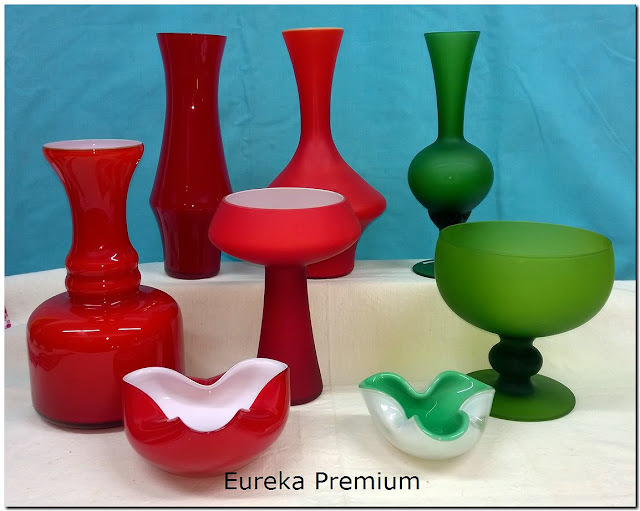 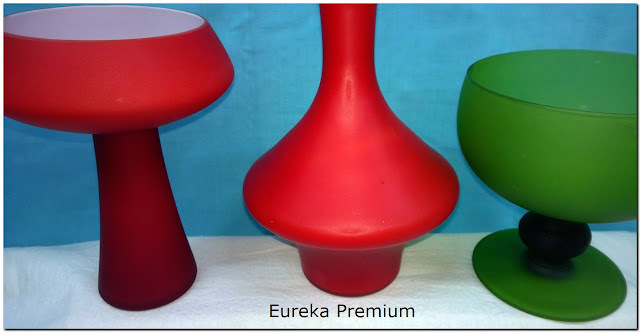 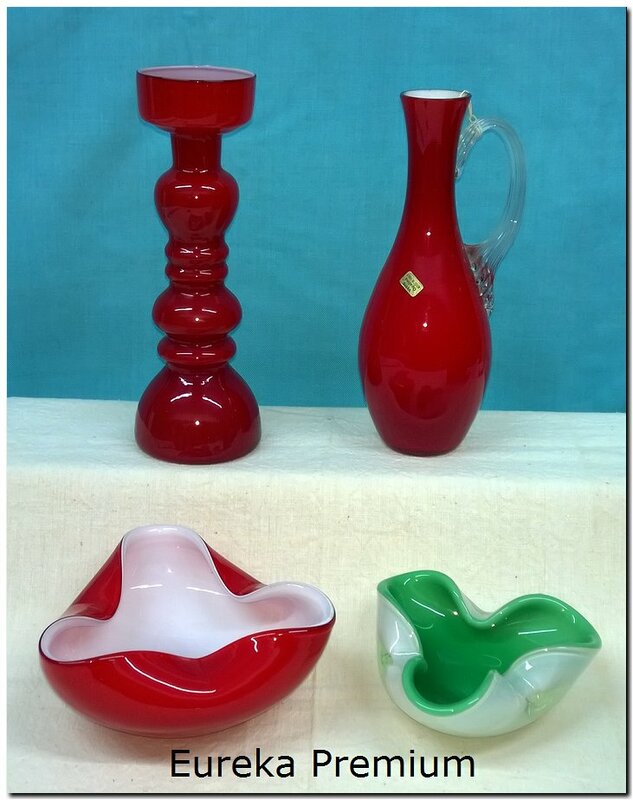 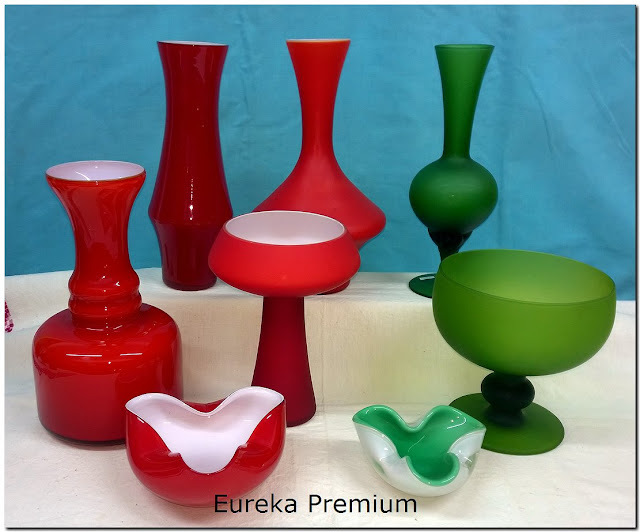 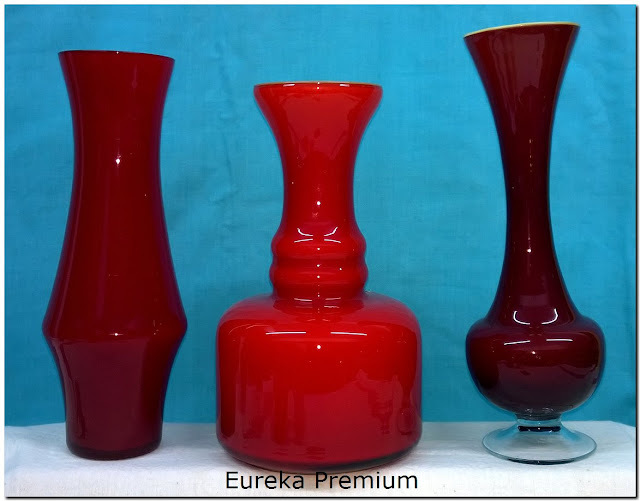 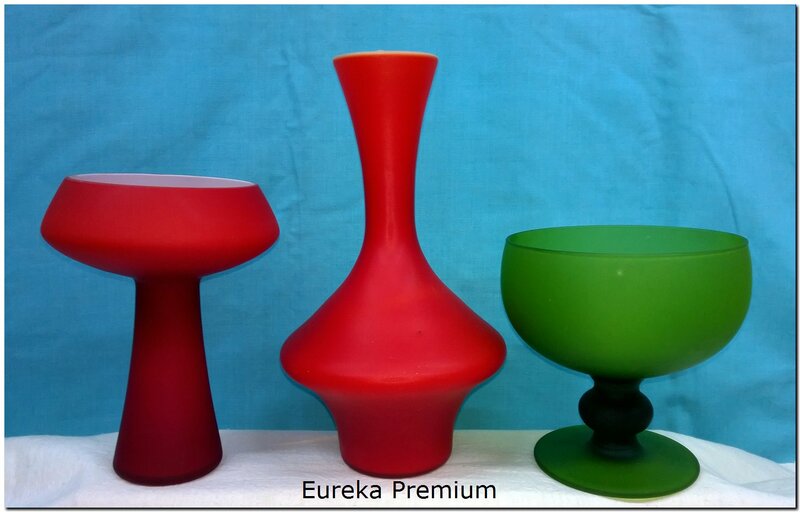 A small 1960's - 1970's vintage collection from opaline glasses, vases and ashtrays. 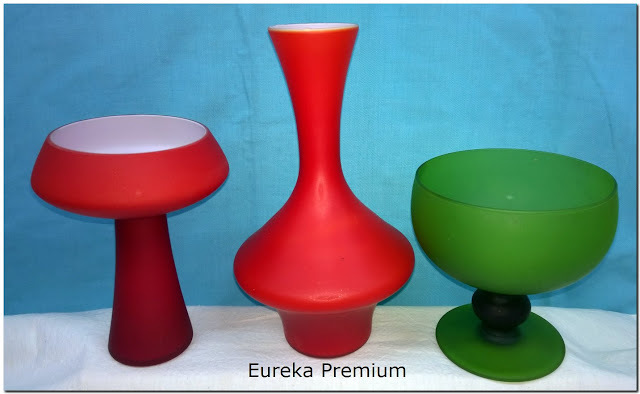 Left. Excellent vase from Italian Carlo Moretti. 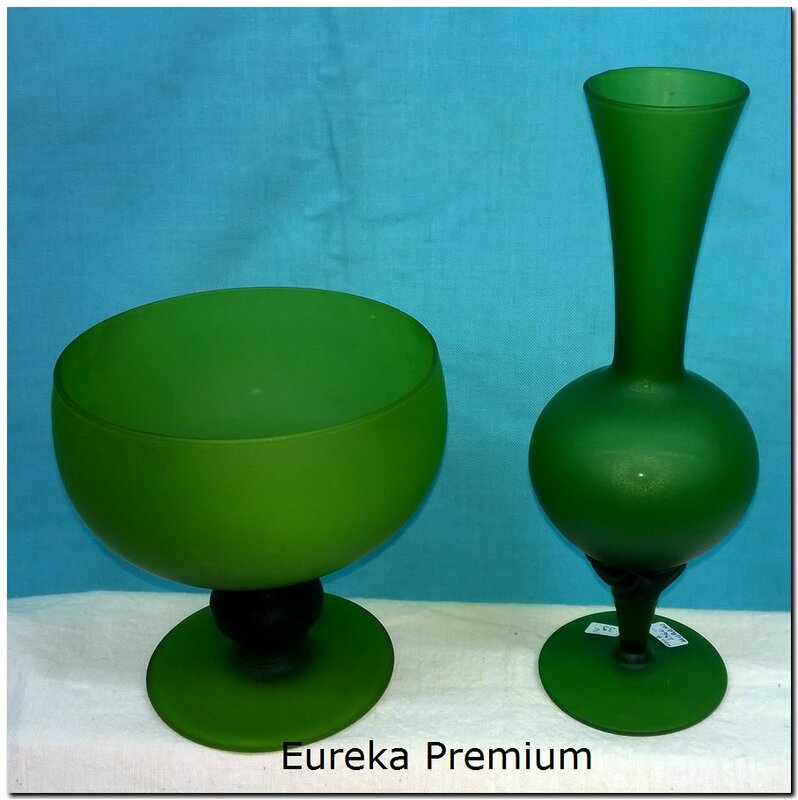 See full description here.